Your cookies are in this submarine here… really! 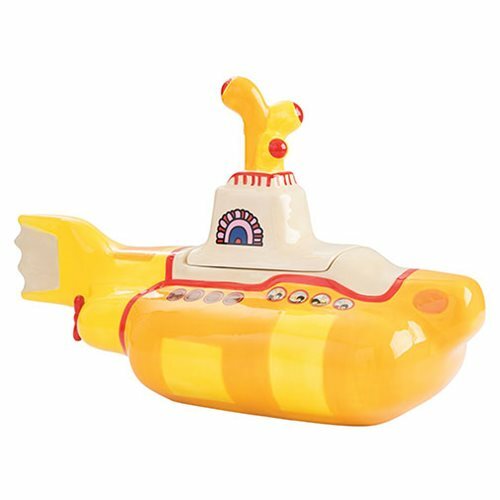 Beautifully crafted to look like the vessel in the 1968 animated film, the vividly colored Beatles Yellow Submarine Sculpted Cookie Jar features a silicon freshness seal, measures about 15-inches long x 9 1/4-inches tall x 7-inches wide, and comes in a matching full-color gift box. Use this handcrafted container to hold your sweets or other household items. It's also a sure-fire conversation starter! Hand wash only. Not dishwasher safe.